Welcome to comfort 2.0. The Goldtouch V2 Adjustable Comfort Keyboard is the second generation of our premier computer keyboard. Our ergonomic keyboard was uniquely designed to adjust from 0-30� on the horizontal plane to properly straighten your wrists, and 0-30� of vertical tenting to help alleviate pressure on your tendons and align your arms and shoulders in a natural and comfortable position. The Goldtouch V2 Adjustable Comfort Keyboard easily connects to your desktop or laptop computer via USB port. 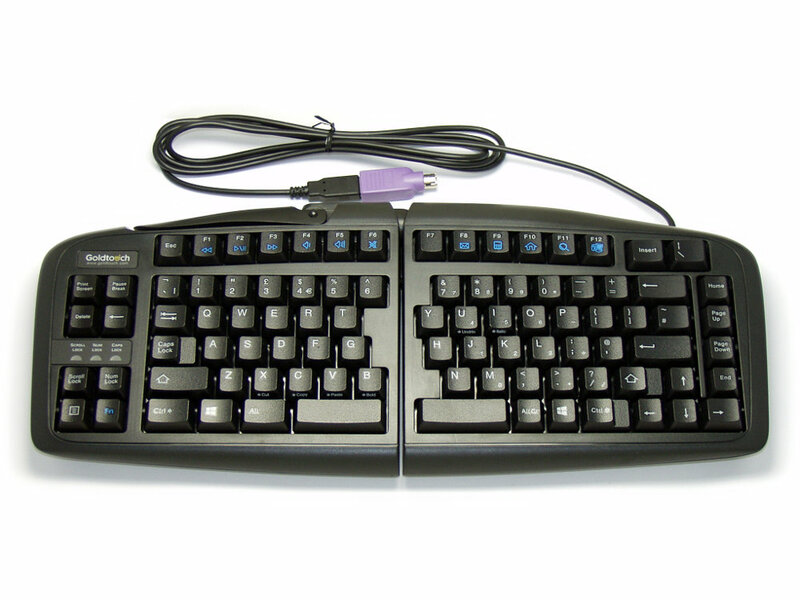 The keyboard is easy to use plug and play technology, that doesn't require any additional software driver installation. A common adjustment is to raise the two front feet to get a negative slope whereby your wrists are positioned in a neutral or downward position rather than tilted upward.